there's not much members of the clan then i was thinking why the hell am i still continuing this.. so i decided to left. Silence - I don't remember why i left, it was 2 years ago i think. Assassins - I think the clan was merged or died. CrAzY - I didn't took this clan seriously, because of it's childish members. This clan seems to be organized, matured and fun(this isn't cliche it's just my perspective), and i can see there's a lot of skilled players here. wasn't cooperating with it's members, and i know YrN isn't like that. I can offer my loyalty, respect, cooperation and my skill of making maps and my skill of fighting. I might learn new things, strategies etc..
PuLse - Good things: it improved my knowledge about making website and forums etc..
Bad Things: it's a bit stressful when it comes to editing the website and forums. Assassins - Good things: it was fun having clan wars and having social interactions with my clan mates. Bad things: It merged with different clans several times. Bad Things: Full of raging kids, and the leader wasn't cooperating with it's members. I want to experience to be in a mature, skilled, friendly and fun organization. i have played with a couple of YRN members, but i have never met them nor talked to. Have less drama and it's united from each other. I'm more of a anti-social, silent and wise person (That's just in irl). Well, that's a pretty nice application that you made there! It has details and stuff but i only have two questions for you buddy! @Yuza wrote: 18. What do you value more: Skill or Attitude? So, why did you choose attitude and not skill? What is that thing that you have there? Is it just a tag or something? Answer me these two questions if possible, keep answering the questions with details and stuff and i believe that you'll do well. I chose Attitude over skill because, skill isn't gonna take you somewhere (it may be in some cases) but nothing is better than having a good attitude. It's just a tag and it's not a clan. it means PRO in the game i used to play. Well, you have no more questions from me, thank you for answering! @Yuza wrote: I chose Attitude over skill because, skill isn't gonna take you somewhere (it may be in some cases) but nothing is better than having a good attitude. Why choose us over the other clans out there such as geno or boz they offer the same qualities so why us? Anything else that you can contribute? How come you didn't list boz as a past clan? How u live in Russia and U dont mention EU? @Red X wrote: Why choose us over the other clans out there such as geno or boz they offer the same qualities so why us? Well, i didn't bother reapplying to BoZ since it's so complicated in my case. And GeNo, it didn't really caught my attention and wasn't interested in applying. 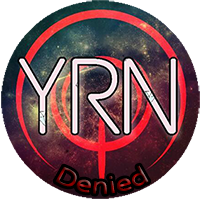 So that's why i decided to apply to YRN instead of the 2 "POPULAR" clan. just for the betterment of the clan. i didn't list BoZ as a former clan since i didn't became an official member and not even on unofficial. so there's no point of putting BoZ as a former clan..
@fdfhy wrote: How u live in Russia and U dont mention EU? Well.. there's not much people playing on EU server that's why i don't really care about EU.. Please try not to double post, it is unfortunately not allowed. When you answer the questions please put them in one post. I'm going to deleted and copy your last post and paste it to your previous one. I'm sorry about that. i don't know how to edit my reply and he asked me right after i'm done answering the first question. Hi, Decent written app. Ive just got one question for you at the minute. You said in question #8 that you left pulse because you got bored. How do we know your not going to get bored with our clan and leave us? @Yuza wrote: 10b. How will YRN benefit you? I might learn new things, strategies etc. @Yuza wrote: 16. What are your skills within PB2? @Ownage wrote: Hi, Decent written app. Ive just got one question for you at the minute. You said in question #8 that you left pulse because you got bored. How do we know your not going to get bored with our clan and leave us? Well, it was my clan, i can leave or disaband it whenever i want. i don't see any reason why i might get bored and leave.. I might improve myself while being here since there's a lot of skilled players, and i might learn more strategies(by strategy i mean tips and tricks about the game). i can also camp without getting killed. uhhhm.. i'm also good at stealing someone's ppp, lets see... i'm good at saw like really good..
i can also dodge like ultra instinct.. also wall jumping on 20ft tall walls... I think that's pretty much all of it. I hope it clears up the misunderstanding. well everyone has different opinions..
Reapply in 5 days if you wish to.